Vawns Murphy is right on point when she begins in her recent article, "I’ve said it before and I’ll say it again. Being just 'good enough' isn’t good enough anymore." And she continues, "We live in an age of innovation and CSI (Continual Service Improvement); where we need to be continually adapting to changing business priorities and finding ways to be leaner and more agile in our delivery. But let’s face it, how does that work in the real world? A real world where budgets are limited, resources are stretched and our people feel overworked and undervalued." For the answer to those questions and more, Murphy interviewed EasyVista’s General Manager Kevin Coppins on the role of ITSM in the Digital Workplace. Fresh off a recent EasyVista announcement: Today’s service desk has been deemed the on-ramp to the Digital Workplace, the discussion between Coppins and Murphy was thought-provoking and insightful. The topic was the digitization of service management and how the help desk is now the center to enabling a digital workplace. We were gratified that Murphy can see that our experience helping customers enable their users with business applications is a stand out capability in the crowded ITSM landscape. She states: "One of the things that differentiates EasyVista is that it is purpose built as a mobile-first experience. 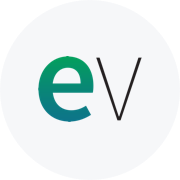 Instead of a more traditional experience where it can take months to roll out an enterprise level ITSM tool, EasyVista uses service apps to get customers up and running quickly." On the industry landscape, Murphy continues: "The ITSM industry is certainly taking notice. Gartner placed EasyVista third behind ServiceNow and BMC in terms of digital workplace leadership; given the scale of both the BMC and ServiceNow offerings, EasyVista offers customers a real alternative. An alternative that’s agile, service based and a tool that used digital transformation as an enablement strategy rather than a reactive, defensive strategy." Murphy’s comments on the EasyVista platform: "The EasyVista tool is run on service based apps and features codeless functionality meaning that you can customise it to fit your business without needing to write a single line of code. The portals are role based and EasyVista aim to have their customers achieve value realisation within 60 days of deployment." Katie McKenna is the Digital Marketing Manager at EasyVista, managing all aspects of social media and the company’s web presence. She enjoys learning and sharing all things ITSM, IoT, SaaS, and IT Consumerization. Katie is also an avid reader, pizza enthusiast, and horror movie lover. Follow Katie’s latest tweets on EasyVista and industry news at @EasyVista.